Everyone seems to be eating out more often, and the cost of that can add up. Choosing a restaurant adults can enjoy that has free food for kids specials is a good choice now and then to save a little money. These San Antonio restaurants cater to that idea, with free meals for kids on certain days or every day of the week. Check out the menus and save a little money when you take the family out to eat after a long day at work. Kids under six eat free every day off of the kid's menu with a purchase of an adult meal. Since the under-six crowd might not be too interested in the authentic Cajun food that Acadanina cooks up (think crawfish etouffee, gumbo, red beans and rice, and catfish), they can choose from a chicken fillet, corn dog, peanut butter and jelly, or a hot dog on a bun. Kids from six to 12 have the added choices of popcorn shrimp or catfish fillets, but those meals are not free. Rome's Pizza has received a boatload of Reader's Choice and Pizza Today Hot 100 awards for its pizza. It serves up both traditional and gourmet pizza, along with calzones, subs, meatball sandwiches, gyros, and hummus wraps. It has a limited but traditional pasta menu and a wide offering of salads and appetizers. Kids can choose from cheese or pepperoni pizza, spaghetti and meatballs, and alfredo penne (chicken optional). Kids nine and under can eat free on Tuesdays and Wednesdays with each adult purchase from 4 to 8 p.m.; this is a dine-in only offer. Voted the best guacamole in San Antonio, Tiago's serves up coastal-influenced Mexican food that the whole family will love. With dishes like empanadas, taco salad, and fresh ceviche, there are plenty of menu items to choose from, too. At Tiago's, kids eat free every Monday with the purchase of an adult entree. At EZ's Brick Oven & Grill, adults will find a broad menu that includes South Texas chili, pork belly burgers, a wide selection of pizzas and calzones, burgers, veggie burgers, and chicken-based sandwiches, as well as meal-size salads, and entrees like grilled salmon, rainbow trout and basil chicken pasta. Children 12 and under get a free meal on Wednesdays with an adult purchase from 5 p.m to closing. Despite the name, Sea Island Shrimp House serves up more than this beloved crustacean. The menu includes fish tacos, salmon, trout, and even an Angus cheeseburger. Kids eat free here on Mondays with the purchase of an adult entree. The kid's meal is accompanied by a side and a free drink. This casual San Antonio eatery focuses on healthy Latin food. The menu includes a whole host of soups, salads, and sandwiches, as well as kid-friendly fare like hot dogs, quesadillas, and grilled cheese. Kids under 12 eat free on Tuesday evenings from 4 p.m. to 9 p.m, with a purchase of one adult meal. Each kid's meal is served with a side of fruit or chips with a beverage choice of milk, juice, or fresh lemonade. Luby's Cafeteria prides itself on "real food for real people," like blackened tilapia, chicken fried steak, roast beef, fried chicken, and Luby's famous macaroni and cheese. One child age 10 or under eats free at Luby's for each purchase of an adult meal. 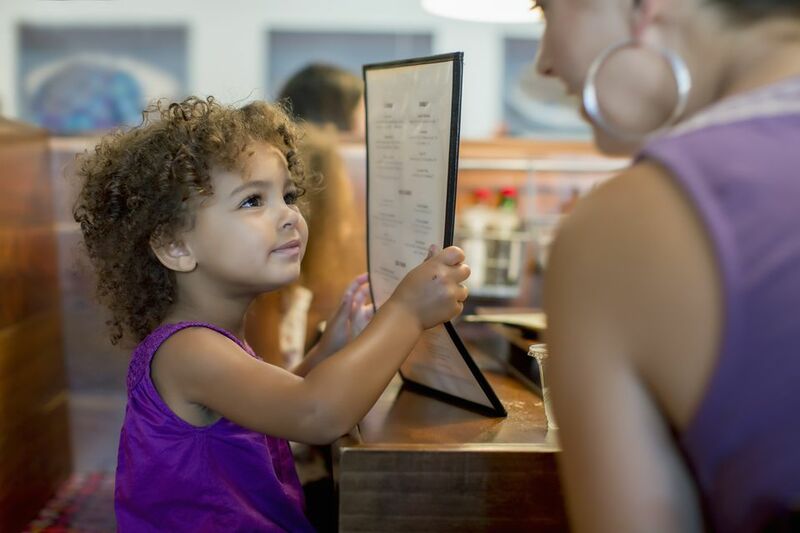 Choices of entrees and sides vary daily for free kids meals. These are offered for dine-in only. Check your Luby's location for the days and times it offers free kids meals.